(File pix) Kuen Cheng High School UEC 2018 top students. SOME independent Chinese school students do sit Sijil Pelajaran Malaysia (SPM) along with Unified Examination Certificate examinations. Kuen Chen High School in Kuala Lumpur is an example of a school that practises this double-track academic system. “We practise the dual track system whereby the media of instruction in the teaching of science and mathematics are English and Chinese. Our students are taught three languages, namely Mandarin, English and Bahasa Malaysia so that they sit both the Junior UEC and Senior UEC as well as the SPM examinations,” said school principal Dr Chua Lee Lee. Another specialty of this school is its iBT (Internet-based Test) English programme. This prepares students for external language examinations such as the Test of English as a Foreign Language and the Malaysian University English Test. Last year, 398 students at Kuen Cheng High School sat the Senior UEC. Some 134 were in the Science Stream, 111 in the Commerce Stream and the remaining in the Art and Commerce Stream. Some 133 candidates scored 5As to 10As in last year’s examinations. There are more than 100 private tertiary education institutions in the country which are open to UEC holders. These universities and colleges include INTI International University and Colleges, Taylor’s University, Xiamen University Malaysia and Multimedia University. 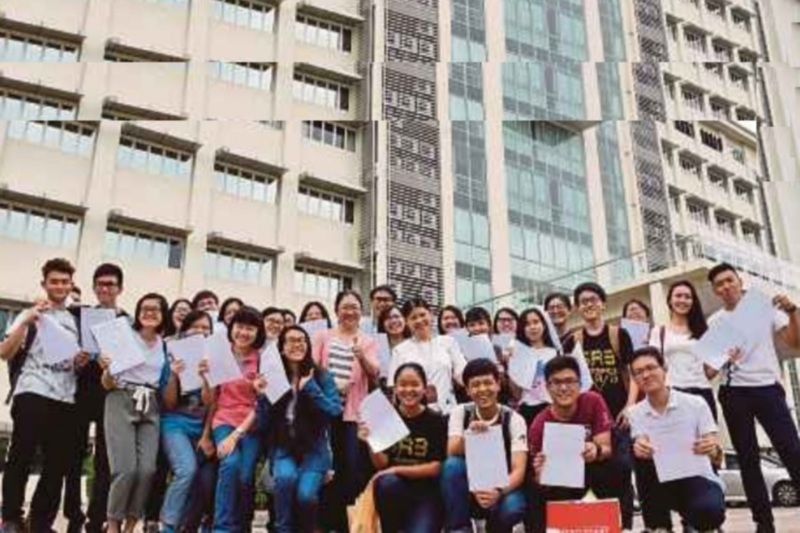 “Former Kuen Cheng High School students have continued tertiary education at various local institutions such as Universiti Tunku Abdul Rahman, HELP University and Sunway University,” said Chua. INTI International University and Colleges, Malaysia accept UEC holders subject to Malaysian Qualifications Agency guidelines and approvals for their programmes. “Following these guidelines, UEC students can progress to international degree programmes with our US, UK and Australian partner universities,” said INTI International College Subang chief executive Dr Jane Lim. Regardless of education background, the deciding factors to be accepted into INTI are meeting the academic requirements and language proficiency for the respective courses. For students who fail to meet the latter, the university administers its own English Placement Test. “INTI supports students who do not achieve the required grade through our Intensive English Programme,” said Lim. UEC holders and other non-SPM students at INTI also take the Matapelajaran Umum subjects, namely Bahasa Kebangsaan as well as Malaysian Studies. This entry was posted on Wednesday, April 17th, 2019 at 7:25 pm	and is filed under General Topics. You can follow any responses to this entry through the RSS 2.0 feed. Both comments and pings are currently closed.